When her husband, Don, called on his way to the hospital, Kathi Koll had no idea how dramatically their lives would change--or how her loving heart and indomitable spirit would fight it. From childhood, her life might have seemed charmed: play dates with Lucie Arnaz, real dates with a future TV idol, and a big brother engaged to film star Dolores Hart. But behind the scenes, her role as a caregiver began early. A mother dying of cancer, a father battling alcoholism, a brother with a debilitating disease, and a painful divorce threatened to tear her world apart. But then Kathi found Don Koll--her "knight." Like living a movie script, Don and Kathi sailed to far off places, solved a carjacking, and cracked jokes with the president. Their joie de vivre and unstoppable moxie made everything feel possible. Until Don woke up "locked in" after his catastrophic stroke. 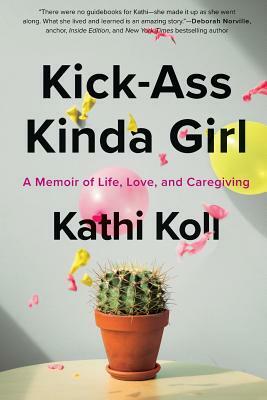 With unflinching honesty and humor, Kathi shares the realities of a life in uncharted territory as a full-time caregiver, from turning her home into a mobile hospital to the complications of intimacy. Her ability to share sorrows while laughing at herself helped her find a New Normal where she and Don could live each day to its fullest. Her journey, steeped in the joy of living in the moment, teaches us what it means to never lose hope for tomorrow--at the best of times and under the worst of circumstances.